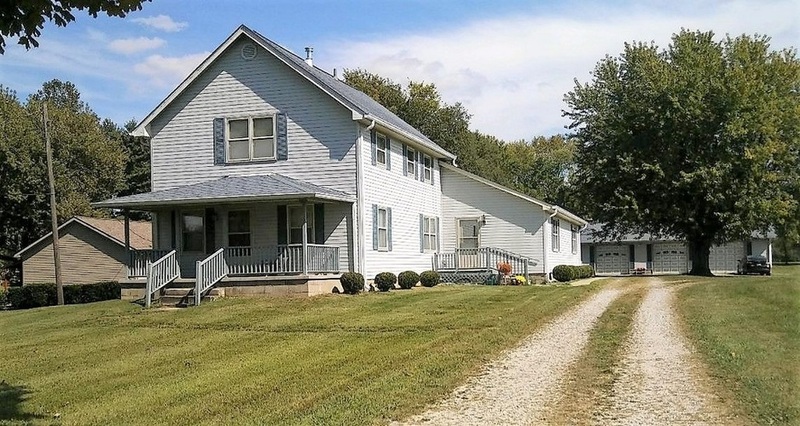 Do not miss this beautiful farm house on 5 acres with fruit trees and a 2,500 sq ft detached garage w/workshop! This 4 BR/3.5 BA home offers the space and amenities you are looking for indoors and out. Enjoy a cup of coffee on the covered front porch. Enjoy the ample living space and large bedrooms. Home features hardwood floors, Detached garage features 2 wood burning stoves and a work shop. Appliances included. Directions:From SR 3/38: S on SR 3 to Walmart Dr. W on Walmart Dr to W CR 100 S. S on 100 S to S CR 125 W to property.